This blog was originally posted on September 27, 2016 on the U.S. Green Building Council’s website. It is republished here with their permission. 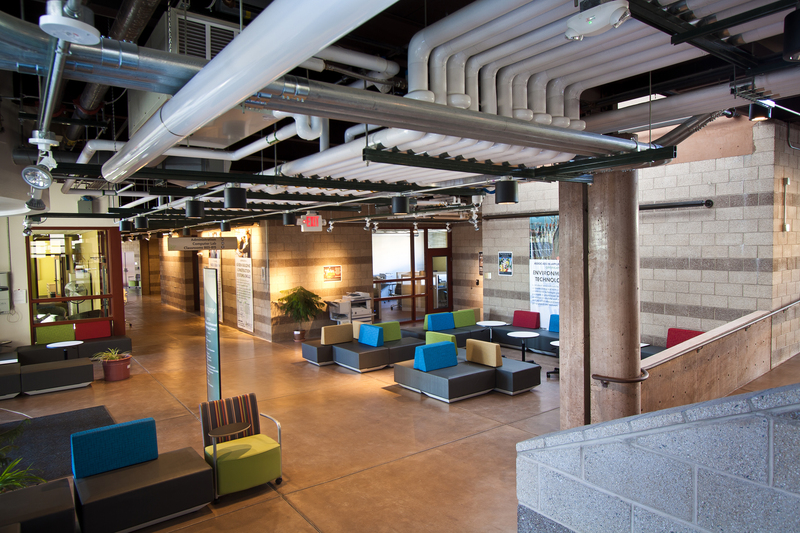 Santa Fe Community College pursues sustainability through collaboration with community partners. USGBC and Second Nature recently announced the winners of the 2016 Climate Leadership Awards, which recognize innovative and advanced leadership in sustainability, climate change mitigation and resilience at signatory campuses of Second Nature’s Presidents’ Climate Leadership Commitments. We sat down with this year’ Honorable Mention recipients to get their insight into how they demonstrate sustainability leadership, and the impact the awards program has had on their communities. Randy Grissom, president of Santa Fe Community College, gives an overview of the college’s sustainability journey and shared his perspective on how to integrate leadership into both operations and academics. Tell us a bit about Santa Fe Community College. Santa Fe Community College, located in the scenically and historically rich capital of New Mexico, serves students with a variety of programs including culinary arts, business, arts, health care and comprehensive, innovative sustainability programs. We have impressive facilities, an internationally recognized biofuels program, an expanding aquaponics program and solar and green buildings programs that attract the very best talent­­­­—both faculty and students. In what ways has your signing on to the American College and University Presidents Climate Commitment inspired your community? Signing on to the American College and University Presidents Climate Commitment in 2007 set Santa Fe Community College on a leadership course. We have made significant investments in sustainable facilities, in solar power (a 1.5-megawatt system on 5.4 acres supplies most of our power), in recycling and basically in practicing what we teach. The Climate Leadership Awards program has helped us learn from other institutions. The networking at the annual meetings has inspired us to take on new initiatives. Sustainability is the right thing to do for the environment, but as President, I can tell you that it’s the positive effect on the bottom line that makes us keep moving forward with our efforts. Our curriculum and practices are intertwined, and we take every opportunity to collaborate with community partners. Our LEED® Platinum Trades and Advanced Technology Building is a symbol of sustainability and flexibility; features are added as the curriculum changes and class projects are tried and tested. The city’s Sustainable Santa Fe Commission has included SFCC as a key component of an economic development plan, whose foundation is in green jobs and a sustainable future that includes water conservation, solar energy, bioenergy, innovative (low-water, low-impact) agriculture and microgrid development. Photo by Santa Fe Community College. What has been key to developing, maintaining and growing the college’s sustainability commitments? Definitely the key is getting more community partners interested in our initiatives. We offer tours, on average once a week, to business leaders, government officials, international visitors, faculty from other colleges and universities, representatives from private or public boards and scientists from Los Alamos National Laboratory. This outreach has led to great partnerships and investments as we grow our leadership role. Our commitment to being a “living laboratory of ideas” means we are always open to creative feedback that enables us to develop public-private partnerships that help us meet the need for jobs. A good example is our current exploration of a plan with Ecoponex Systems to develop a micro and full-scale REEF (Renewable Energy Efficient Farm) project—a closed-loop, controlled-environment cultivation system to produce food. We are in the early planning stages, but feel this is potentially one of the most exciting partnerships we could have on our campus. With a campus of 366 high desert acres, we have room to grow. Do you have any advice for your peers on how they can demonstrate sustainability leadership? I would urge other institutions to look closely at how they can integrate operations and academic programs. Here at SFCC, our campus plant operations and Trades and Advanced Technology programs are intertwined. Again, maintaining the bottom line impact is key. We hear a lot about the need to prepare students with technology skills, but I also believe that in order to propel students into the green economy, we need to ensure they are knowledgeable in sustainable technologies. Whether in building sciences and construction, engineering, plumbing and HVAC, solar and water resource management or alternative fuels, it’s imperative that we prepare them to make a difference in lowering our collective carbon footprint. Is there anything else you would like our audience to know about? Thinking about SFCC as a kind of “Innovation Station” continues to help us expand our role in the community and expose students to hands-on learning and collaboration. Another example of this is our emerging partnership with biologists/scientists from NTxBio, a new company working to significantly reduce the time it takes to identify and develop new drugs to battle disease. After securing funding from a local business accelerator, the startup approached SFCC as a place they could do their work. By allowing the scientists lab space, we now have the opportunity to provide unique experiences for students to see and participate in cutting-edge research. This previously might have been the sole purview of research universities, but I feel community colleges have the flexibility and creativity to move quickly on ideas to bring research into daily academic life. It has been a great experience for SFCC, and I hope we see more of this type of activity in the future. Read more about SFCC’s greenhouse management program in the Santa Fe New Mexican.